Can Arsenal bounce back from defeat against Man City? "Sarri's men are not as far along in their development as the Huddersfield game suggested, while Arsena were beaten by the best side in Europe and might be better than people think"
After a fairly chastening run-out against Manchester City, Chelsea dusted themselves off and made a winning start in the Premier League last weekend. Granted, there were some promising signs for the Blues against Huddersfield: the defence, anchored by David Luiz, looked secure; N'Golo Kanté played well in a slightly more free role; Pedro and Willian both buzzed around with intent out wide. There is a caveat here, of course. Their opponents were listless with and without the ball, so it's hard to draw too many firm conclusions from that game, even if Chelsea impressed. It will naturally take time for the cigarette-munching Maurizio Sarri to shape a unit as coherent as his Napoli side, and he also has some short-term issues to solve. The most obvious one is up front, where Álvaro Morata continues to flounder. A couple more quiet games would surely see the Spaniard consigned to the bench, with Eden Hazard an intriguing option as a false nine. Given how well Dries Merten did after making that move under Sarri, you imagine Hazard would be keen to give it a go. Changes in store for Arsenal? After a fairly chastening run-out against Manchester City (is that... an echo? ), Arsenal will be hoping to kickstart the Unai Emery regime in west London. There can be no doubt that they were outclassed by the reigning champions, but they won't be the only ones this season and that one result should not be given too much weight in early assessments of the new manager. Emery will be forced to make at least one change this weekend. 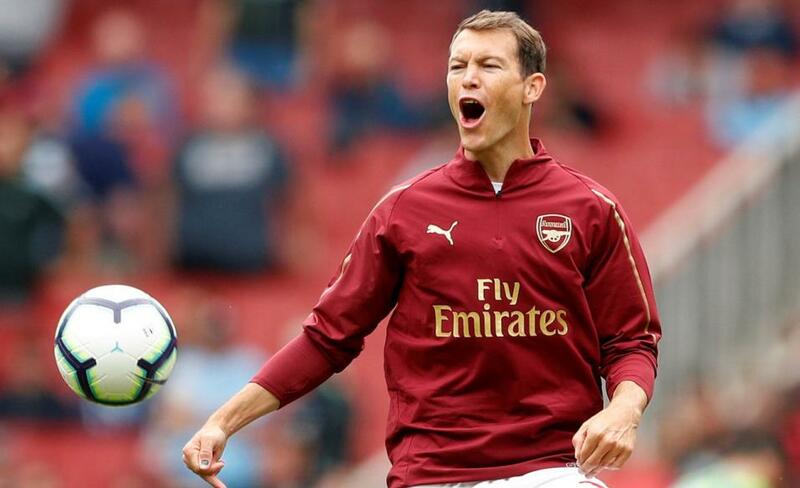 Ainsley Maitland-Niles has been ruled out with a fractured bone, and with both Nacho Monreal and Sead Kolašinac sidelined, that should mean a first league start for Stephan Lichtsteiner. The veteran is not a natural left-back, but will not lack for diligence and commitment. Further forward, there may be a spot for Lucas Torreira, and it will be intriguing to see whether Emery opts to bring Alexandre Lacazette into his starting XI. The Frenchman produced a sparky cameo last weekend and would give the attack a focal point, albeit at the expense of some ballast in midfield; Aaron Ramsey would be the man most likely to drop out. Chelsea have tended to enjoy this fixture in recent times: they have won five of their last six home league games against Arsenal. But the exception was last season's 0-0 draw - a result replicated in the League Cup. Indeed, the Gunners are actually unbeaten in their last five against their city rivals, if we include last season's Community Shield. Sarri's men are not as far along in their development as the Huddersfield game implied, and we won't be backing them at [1.83]. Arsenal, on the other hand, were beaten by the best side in Europe and might be better than a price of [4.7] suggests. They may not win, but we're happy to back them +0.5 and +1.0 on the Asian handicap: we profit if they draw or win and get half our stake back if they lose by one. Pierre-Emerick Aubameyang did not have his best game against Manchester City, but looked more lively after Lacazette came off the bench and could stand to benefit if Emery opts for a more attacking outlook. The 29-year-old is still averaging a goal every 114 minutes in the Premier League and is [2.7] to open his account for the campaign. Betfair's new Same Game Multi feature allows you to build a bet with numerous picks from the same match. So you could back an Aubameyang goal, with over 1.5 goals in the match and a Stephan Lichtsteiner yellow card at odds of [8.82].